Sometimes, when I get to see the professional images back from a photographer it’s simply too hard to select just five, or six. This was a struggle to cut it down to just 10! These fabulous images were taken by James Richard and they capture the morning I had with Claire just perfectly. Claire herself was one of those girls that you instantly just like. 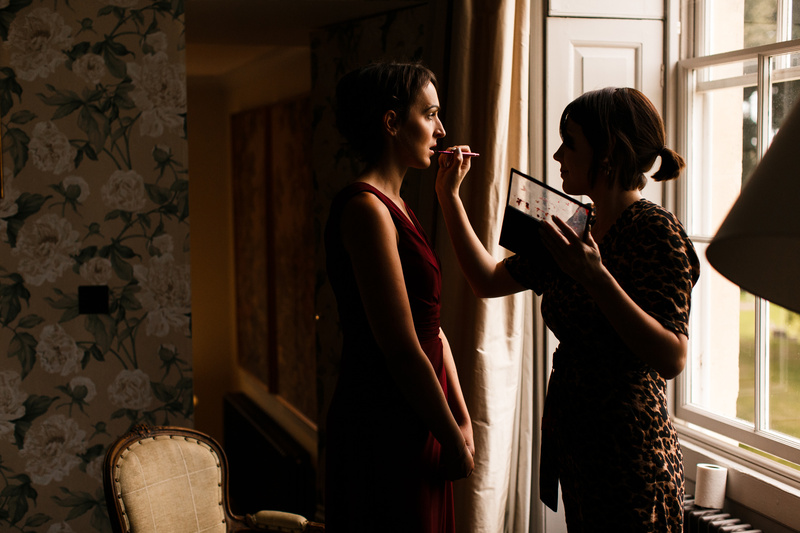 Chatty, warm and not to mention beautiful, she was blessed to have the most wonderful selection of friends and bridesmaids around her – all of whom had ventured to the stunning Goodnestone House for their wedding weekend. The morning with this lot was full of laughter and typically everything you would want a ‘wedding morning’ to be. Being at the venue itself meant there was no need to work to the timescale of having to get transport or allow for traffic, and often this plays a big part in helping everything remain relaxed and calm. Obviously the other major thing that helps with this is exactly WHO you decide to have around you on the wedding morning. Claire’s lovely mum joined us, along with her four bridesmaids. Now these girls get 10/10 from me when it comes to the bridesmaid stakes! They were attentive, chilled and funny ( I’d like to tell you that it was me making the bridesmaid laugh in the photo below but I have a feeling it was the other way round! ) oh and they clearly have their priorities in order – ensuring they got the perfect selfie before they head off! Claire opted for natural, flawless bridal make up using airbrush to give her that ‘real skin’ finish. Her hair was twisted and woven into a ‘tail’ style, a modern take on a traditional half up, half down style which gives a little more structure and interest. We framed her face with soft waves and added a long veil to compliment her breathtaking gown. The bridesmaids in red were a beautiful contrast, bold and striking – as you can see from the images. I have to also mention the flowers – they really were something else! Louise at East Kent Flower Company produced the most amazing hanging decorative pieces , fixed to the ceiling of their marquee which ‘see-through’ exterior gave 360 views of the outside surroundings. Seriously breathtaking stuff! 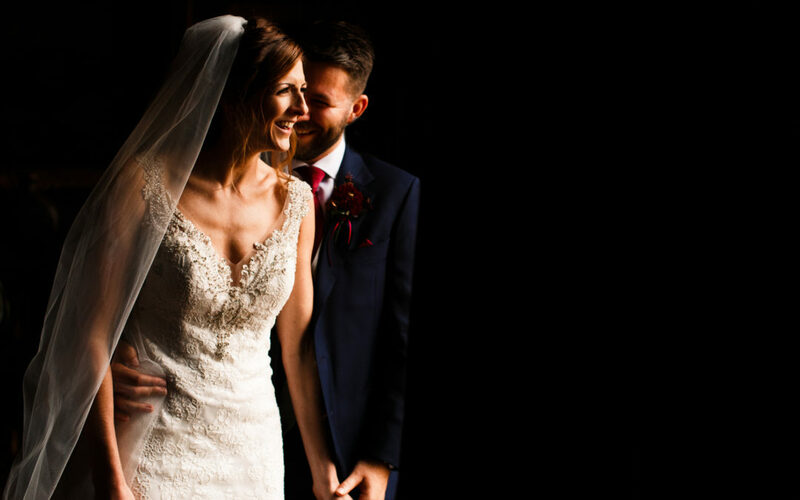 I think their photographer , James, summed it up pretty well when he entitled their portrait section of their wedding images upon his website ‘the beautiful people’. Not only was their day clearly something very special but you can see from their pictures ( you can view the entire collection by visiting James’ website ) that they all had so much fun. 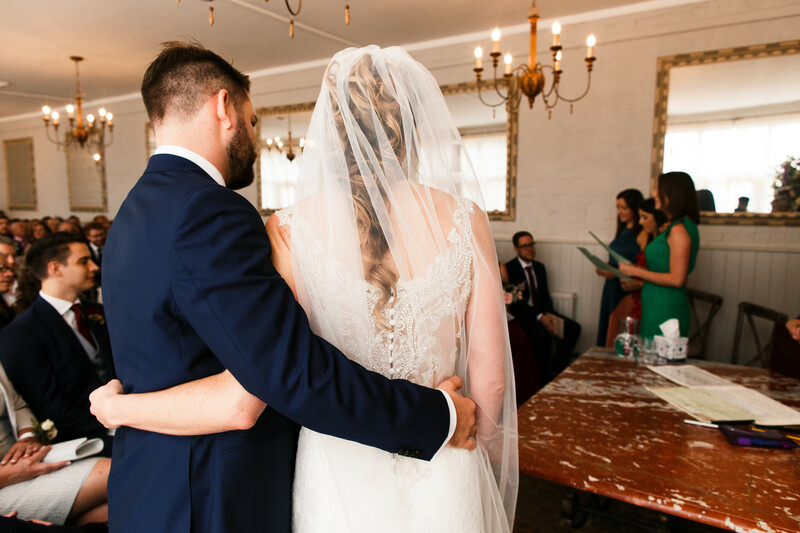 This was certainly the kind of wedding that makes you almost a little bit sad that you don’t get to do it all over again! 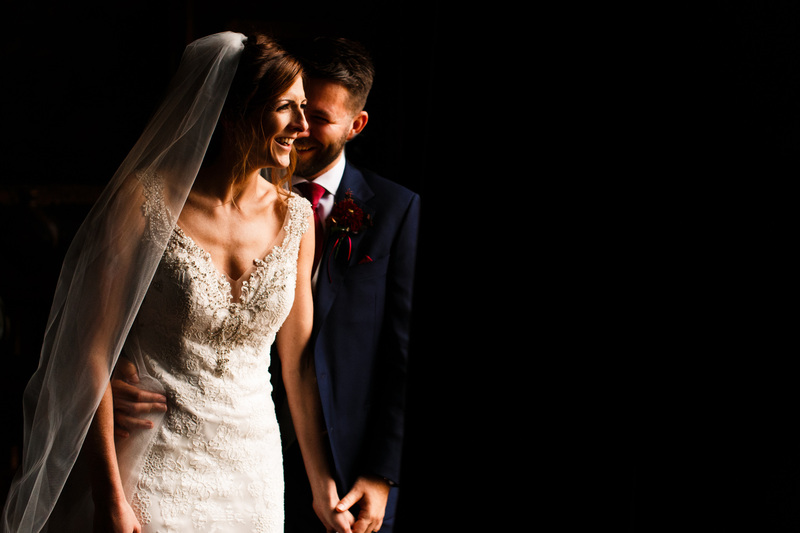 Congratulations Claire and James – I wish you both the most perfect happy ever after!